Are Stress And Inflammation Impacting Your Health? By now you’ve undoubtedly heard the phrase “mind-body connection,” but how much do you know about how this connection really works? Recently, researchers have begun to explore the role of inflammation as one of the main links between psychological stress and your physical health. More than just being a source of psychological discomfort, experiencing stress over a long period of time can actually produce high levels of inflammation in your body. Left unchecked, these high levels of inflammation are connected with a variety of chronic diseases. Understanding the relation of stress to physical health can help you make healthy choices to improve your overall well-being. Chronic stress, or stress that occurs over a long period of time, has the power to disrupt your body’s ability to regulate inflammation. In a healthy body, the hormone cortisol plays a major role in regulating inflammation, which occurs as part of your body’s immune response. However, cortisol is also one of the main hormones involved in your body’s stress response. During times of stress, when cortisol is present in high levels for an extended period of time, the cells in your body actually begin to become immune to cortisol’s regulatory effects. This allows inflammation to occur at higher levels than your body would normally allow. Inflammation can often be a necessary immune response in the short-term, allowing your body to address an infection or heal a wound. However, researchers are beginning to find that inflammation is linked to a variety of chronic diseases including diabetes, irritable bowel syndrome, high blood pressure, heart disease, and even some cases of depression. 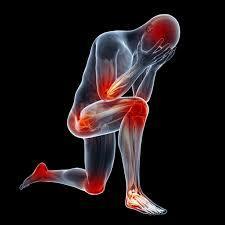 So it’s in your body’s best interest to reduce your overall levels of chronic inflammation. Although some inflammation in the body is caused by poor diet and lack of exercise, it is important to recognize the role of stress in contributing to chronic inflammation. Engaging regularly in stress-reducing practices such as meditation can help to alleviate the negative impact of stress on your health. If you would like to learn more about inflammation and are curious about steps you can take to improve your health, please contact us.